DUCT ALUMINIUM SEMI RIGID There are 5 products. Find all the ventilation ducts, aluminium semi-rigid which you will need for your install house culture at home. 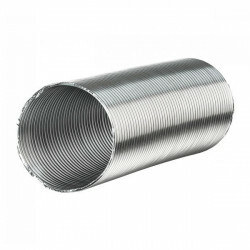 Choose the ventilation duct in aluminium adapted to vent your indoor garden, vegetable garden or grow hydro.